This year, my sister gave my husband and me matching Spode Christmas mugs in a bulbous shape with candy cane handles. Imagine my delight today when I stumbled across this 17th C image of a chocolate “pottel.” Hot chocolate tonight! At Christmas, we celebrate a story; and my favorite part has always been the shepherds. 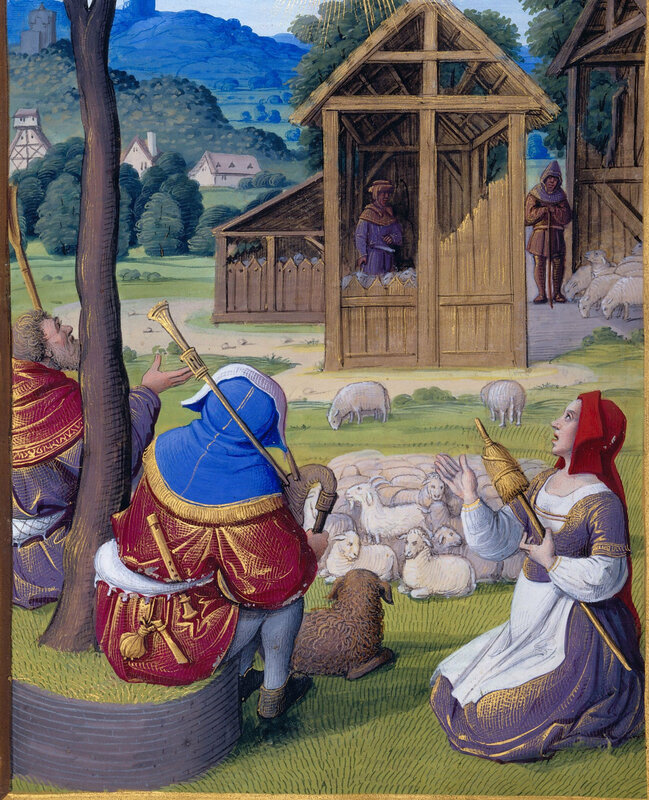 Over the centuries, it has lent itself to all sorts of narrative extensions—e.g., the medieval Second Shepherds’ Play and the recently released Certain Poor Shepherds by Elizabeth Marshall Thomas. What beautiful animation. It's a lovely story with such a great singing cat. I looked up the singer, Victoria Klasicki. She had a career beginning in Scotland where she studied voice and had different roles including Flora in "The Turn of the Screw." Something happened with a comment I left for Marvelous Maggie, so I sent it again. I enjoyed that blog, too. Have a lovely Christmas and New Year. Thank you for BOTH your comments! I don't know what happened about the first Marvelous Maggie comment, but it's great to be able to publish the second. And brava to you for looking up Victoria Klasicki. I didn't think to do that. At first, I was doubtful whether I'd like the video, but it was done in just the right spirit, and she does add a dimension way beyond what my imagination could provide. Best wishes to you on this first dancing day of Christmas and throughout the coming year. Narrative painting tips for writers? Mattie was so fortunate to be able to pursue her dreams at a time when women could do very little beyond what their families told them to do. She had a progressive family. She was so courageous to fight and win back the acknowledgement and patent of her paper bag invention. What a productive life she led for herself and other women who worked the machines in her factory. I can now report, too, that Emily Arnold McCully's book is as beautiful to look at is it is interesting to read. Three cheers for all the productive women who inspire us with their accomplishments!